Well that is not good... Wonder why it said that. Maybe try again? Email me at 2cuteink@gmail.com and I can check to see maybe if you have be signed up. i never got the email. So I tried again and again nothing. I just wanted to tell you I found you through Jess at Jesscrafts.com. She did a video with your cute digital JOY stamp and told us how to find you. I'm so happy she did! 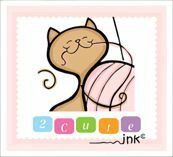 I'm all signed up and would like to thank you for sharing your digital stamps! I need this digital stamp as it can be great and it can help me in doing things which I’ve been looking for. I need http://askpetersen.com/grademiners-com-review/ asap and someone can tell me the way to get them.